The St. Louis County Assessor today released the preliminary real property values as a result of this being a reassessment year. 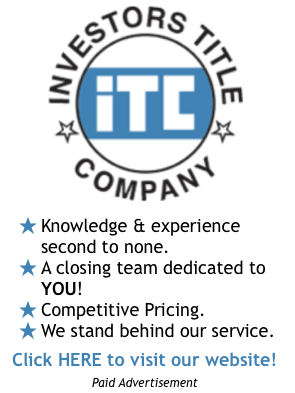 Pursuant to state law, the assessor is to look at what the fair market value of real property was on January 1, 2011 and then use this as the value for property tax purposes for the coming two years. The St. Louis County Assessor determined that, as of January 1, 2011, the median residential property value in St. Louis County was $140,500, a decline of 5.26 percent from two years ago. The report issued showed property values by school district with the Rockwood School District showing an increase of 0.78 percent in property values, the only district with an increase. The school district with the largest decrease in property values was Hazelwood with a decrease of 12.79 percent followed by Bayless and Ferguson-Florissant with declines of 10.66 percent and 10.40 percent respectively. The School District with the highest median property value is Clayton at $440,800 followed closely by Ladue at $408,000. 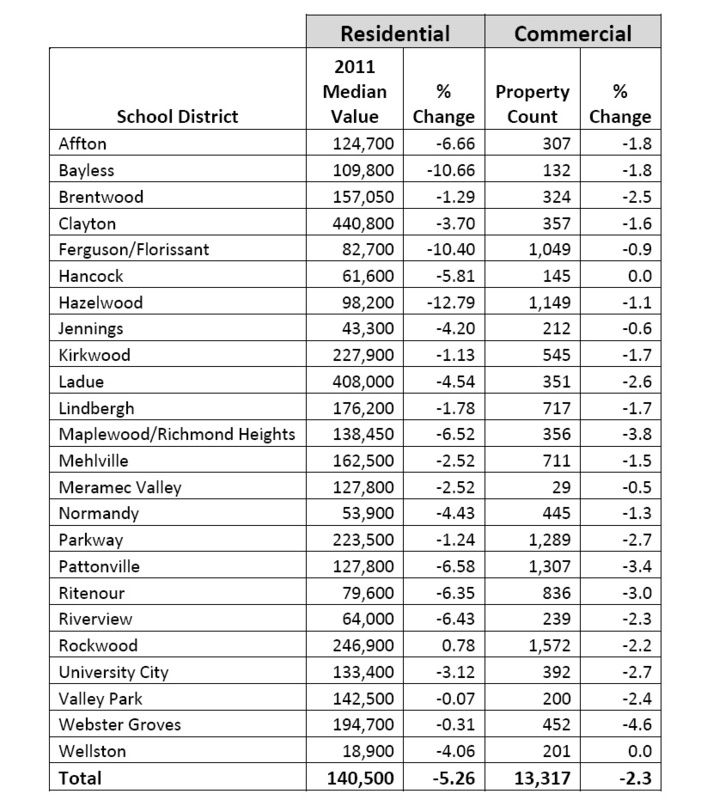 Wellston School District had the lowest median property value at $18,900 followed by Jennings at $43,300. 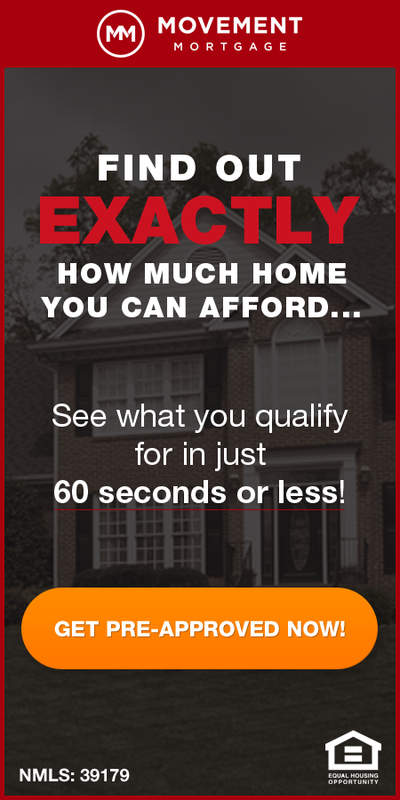 To access the St. Louis County Assessors website and look up a property value click here.